On Tuesday 24th October we left the harbour at 10.15am with handful of passengers on board the boat. Its the start of the seal season and children on board were excited to see the new born pups. Saying that I think some of the adults were just as excited as the kids were. The weather was ok but you can feel that winter is not far away from us now as the temperature out at sea is starting to drop so the 1.5 hour trip is just enough for the kids before they start getting to cold. We were on our way to see the seals which were on the north side of Big Harcar not far from the Longstone Lighthouse when all of a sudden Andy my crewman jumped out of his seat screaming a whale has just breached in front of us. We both ran outside and told our guests that we have just seen a whale breach in front of the boat. I had hardly got the words out of my mouth when it happened again. It happened so quick that we did not even get a chance to get a picture or a video but we both looked at each other and said WOW. In all my years at the Farnes I have never seen anything like it. 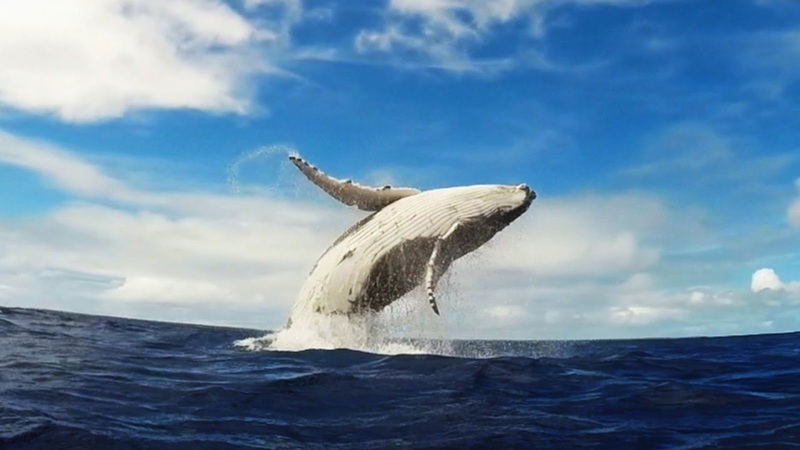 To see anything kind of whale is amazing but to see a Humpback Whale breach clean out of the water in front of the boat was…. in fact is….. the best thing I have ever seen. I was shaking like a leaf and I thought Andy was going to have a heart attack. Not all of our guests seen this wonder but most of them did and they were smiling from ear to ear. To see such a wonderful creature in our waters around the Farne Islands will be something myself and Andy will never ever forget and when we talked about it today it was all over in about 30 seconds but it was the best 30 seconds ever.